The biggest name in sports betting recently unveiled a new Ladbrokes mobile app for smartphones and tablets, and by the look of things, a lot of time was spent on putting together a well-rounded, user-friendly product that put betting in the palm of your hand. For iPhone and iPad users, the Ladbrokes mobile betting application can be downloaded from the App Store, or by visiting the Ladbrokes mobile site on Android devices (m.ladbrokes.com). While the Ladbrokes name is automatically associated with sports betting, mobile Ladbrokes brings together all of Ladbrokes products under one roof. From sports betting to poker games to live casino tables, and even bingo, Ladbrokes mobile makes betting on your smartphone and tablet fun, quick and easy. 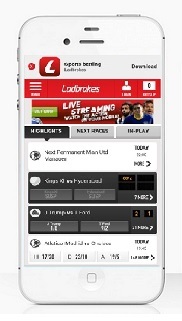 Ladbrokes has done away with the clutter and confusion that marked their previous mobile application. Now, when you visit the homepage on the Ladbrokes mobile app and sites, you’ll can easily find your way around, thanks in large part to a scrolling side menu that features all of Ladbrokes’ products. The loading times are extremely quick (if you blink, you won’t even notice that you’ve been redirected), while page scrolling, navigation bar and drop-down menu have been completely redesigned for the better. Account management, including banking, betting and account history functionality has also been improved by leaps and bounds. Overall, Ladbrokes on mobile is a tidy, visually pleasing app that brings the wide range of betting options available from Ladbrokes into one app that really is a pleasure to use. 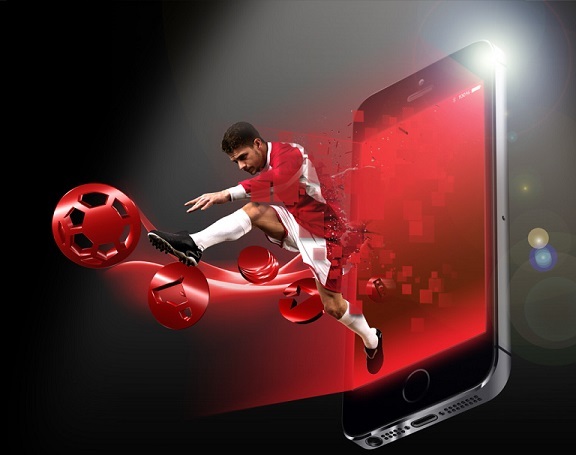 Featuring a wide range of sports betting markets for sports fans, the ability to manage your account easily, and a top notch design and layout, it’s clear that Ladbrokes’ much touted focus on bringing their mobile offerings into the future is well underway.